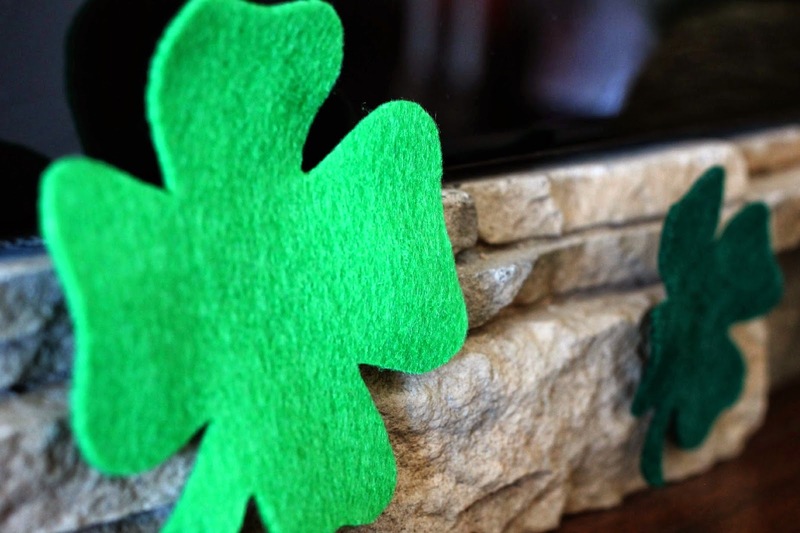 Time to change my mantle that is…. 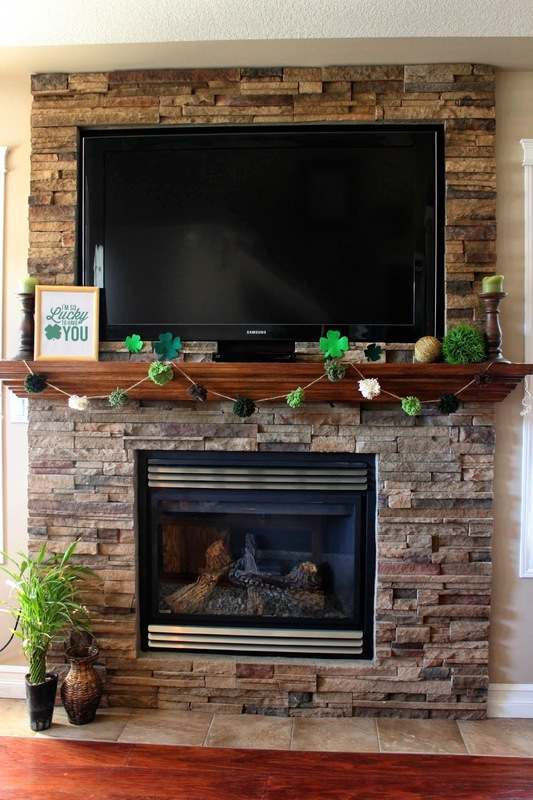 With a new baby in the house, I'm definitely not headed out this year to celebrate, but I CAN decorate my house for myself and my guests to enjoy! The candle stick holders (and candles) have been around here for ages. 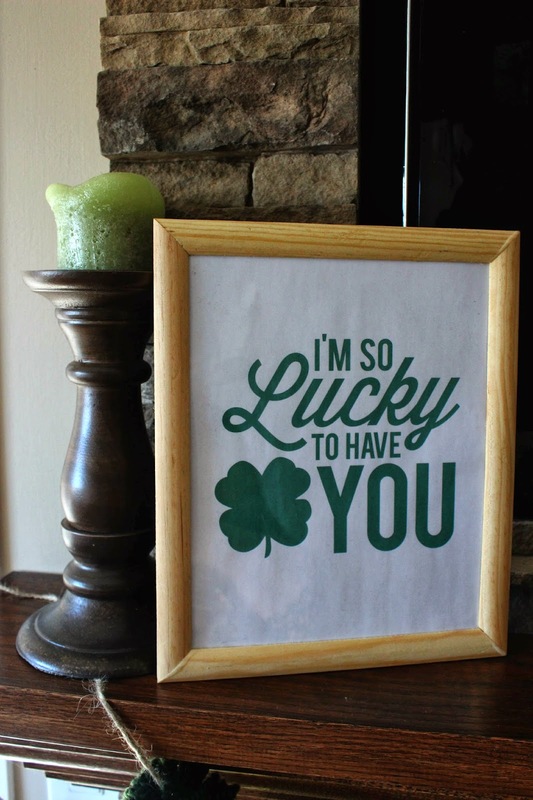 The frame below was from the dollar store, and I filled it with a great "I'm so lucky to have you" printable from the Dreamsicle Sisters. 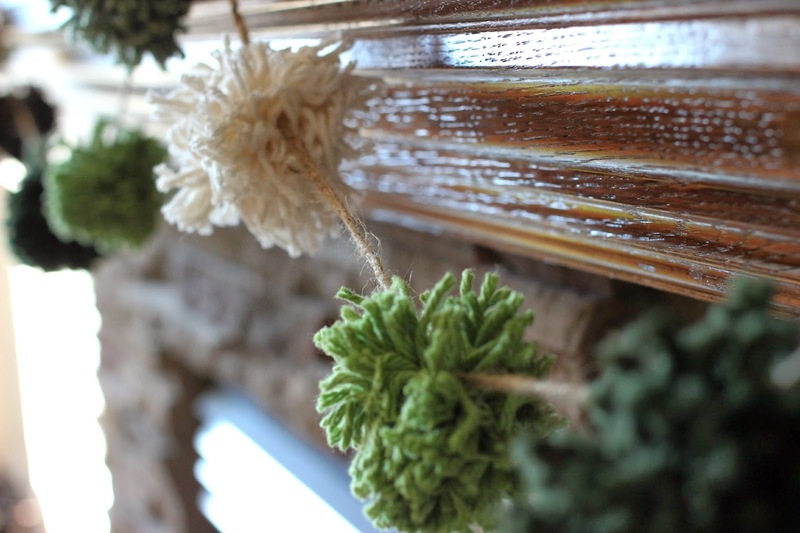 The garland of yarn puffs was made using this tutorial. I searched my yarn collection for St. Paddy's Day colours and came up with cream, brown, and three shades of green. 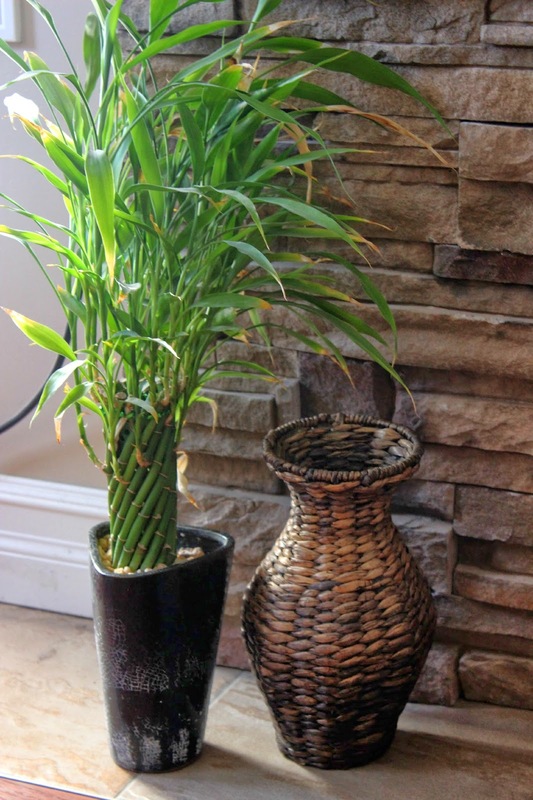 Once they were made, I slid them through a long hemp string and I was done! 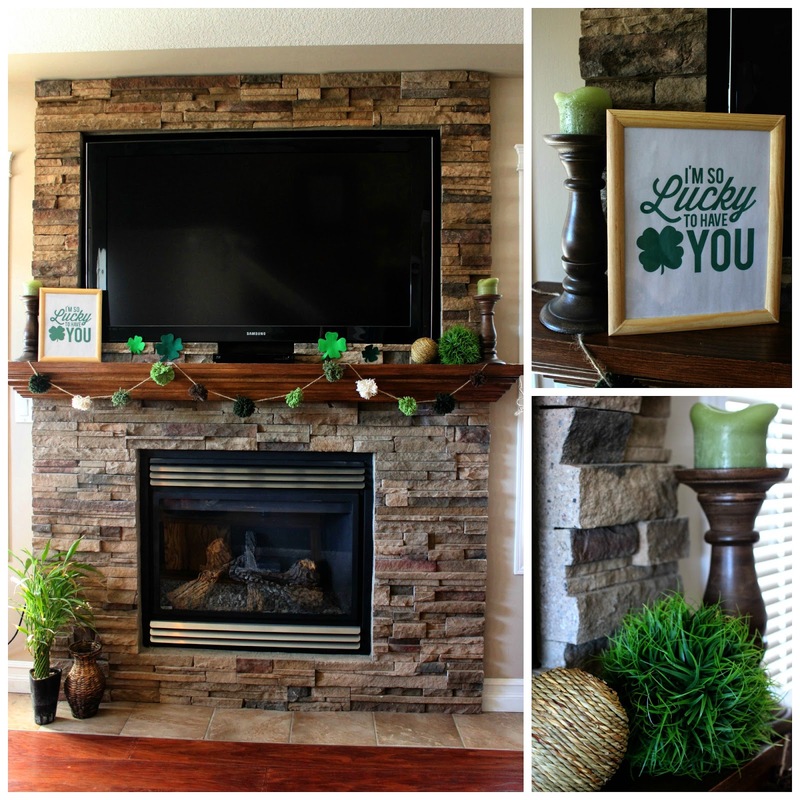 Perfect start to decorating my house for St. Paddy's Day!